Long-time GSA member and former Drosophila Board President Denise Montell gave a briefing on Capitol Hill to discuss her research on “Life, Death, and Resurrection at the Cellular Level.” This July 29 event was sponsored by the Congressional Biomedical Research Caucus and organized by the Coalition for the Life Sciences. Denise Montell of the University of California, Santa Barbara. Image by Spencer Bruttig via UC Santa Barbara. Scientific dogma for decades has dictated that once a cell dies it cannot be resurrected. Join Dr. Montell as she discusses her groundbreaking discovery that overturns this widely held belief. 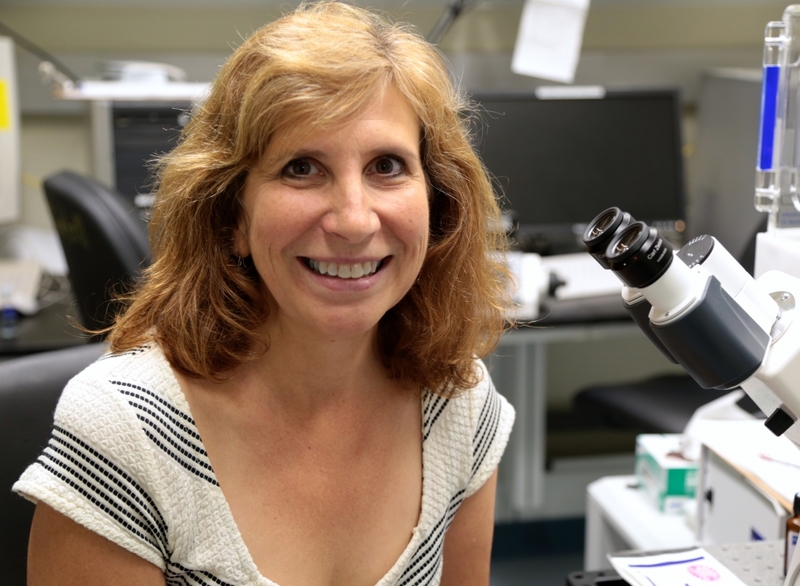 What she and her team found was that a variety of normal and cancer cell types can reverse the process of cell death to survive and proliferate. She and her team took cells to the very brink of death and by eliminating the toxin responsible for killing the cell found that the cell rebounds into a normal, healthy, functioning cell. Harnessing this process holds promise in establishing revolutionary therapies for the treatment of heart disease, stroke, cancer, and degenerative diseases. Join the Congressional Biomedical Research Caucus as Dr. Montell discusses her incredible breakthrough. Boxed lunches will be available for attendees. This is a widely attended event.